I have another Stamp Club Swap to share with you! Today’s card is from Theresa Carver. 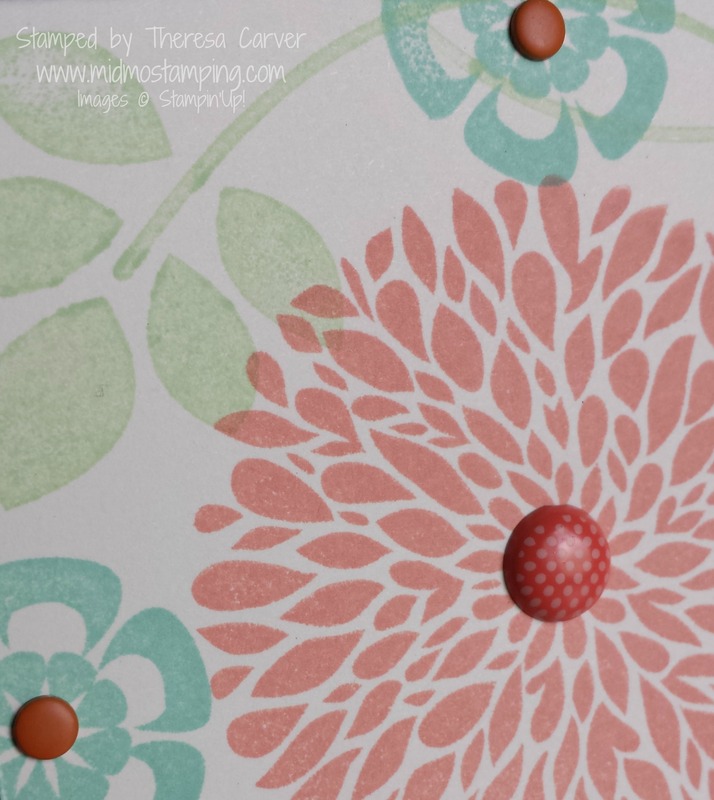 Betsy’s Blossom is a GREAT stamp for collage stamping and one-layer cards! With 6 stamp images, it’s fun and easy to create your own bouquet. The NEW In Colors Coastal Cabana and Pistachio Pudding are a great pairing with Calypso Coral. 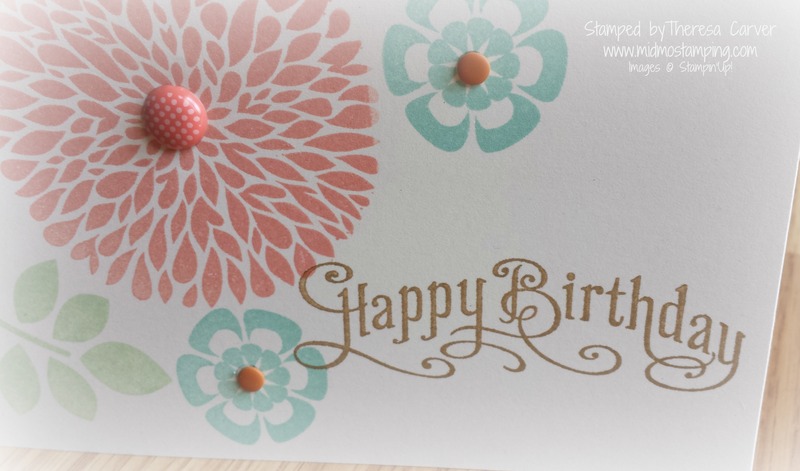 The Perfectly Penned “Happy Birthday” greeting looks great stamped in Baked Brown Sugar. 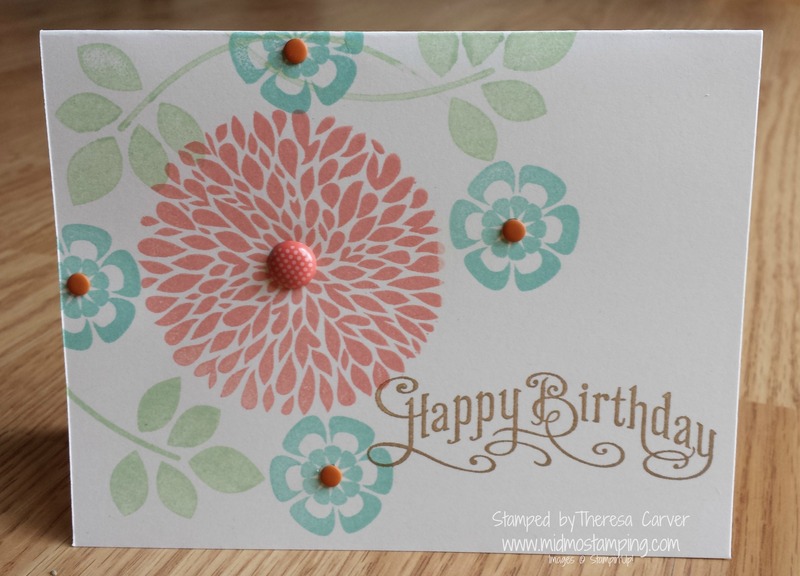 No card is complete without embellishments! Check out the NEW Candy Dots, as well as the Calypso Coral Designer Printed Brad (retired).